Popular crowdsourced navigation app Waze announced today that it is teaming up with the National Center for Missing and Exploited Children to integrate Amber Alerts. We will scan the U.S. for AMBER alerts every 10 minutes. If there is a live AMBER alert, we will display it to Wazers in the relevant geographic area. Alerts will only be displayed when Wazers’ vehicles have been completely stopped for 10 seconds and will only appear once per week per individual alert. Alerts will disappear when Wazers tap the map or once the vehicle starts moving again. Each alert will show as much information as possible and may contain a photo of the missing child along with vehicle information. 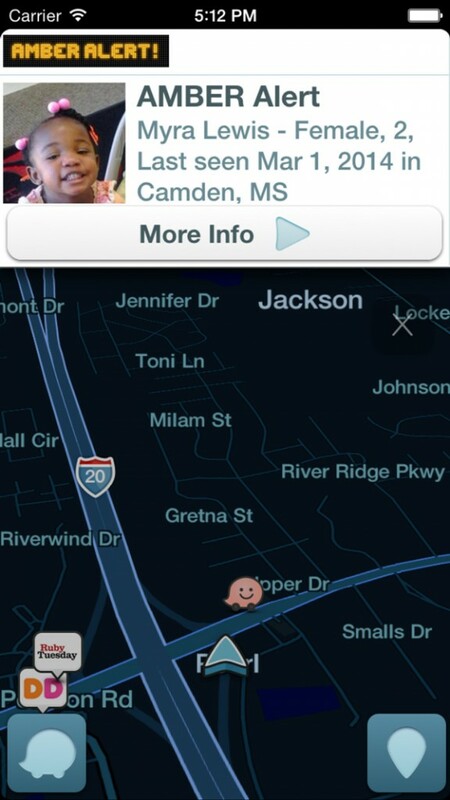 What an Amber Alert will look like in the Waze app. 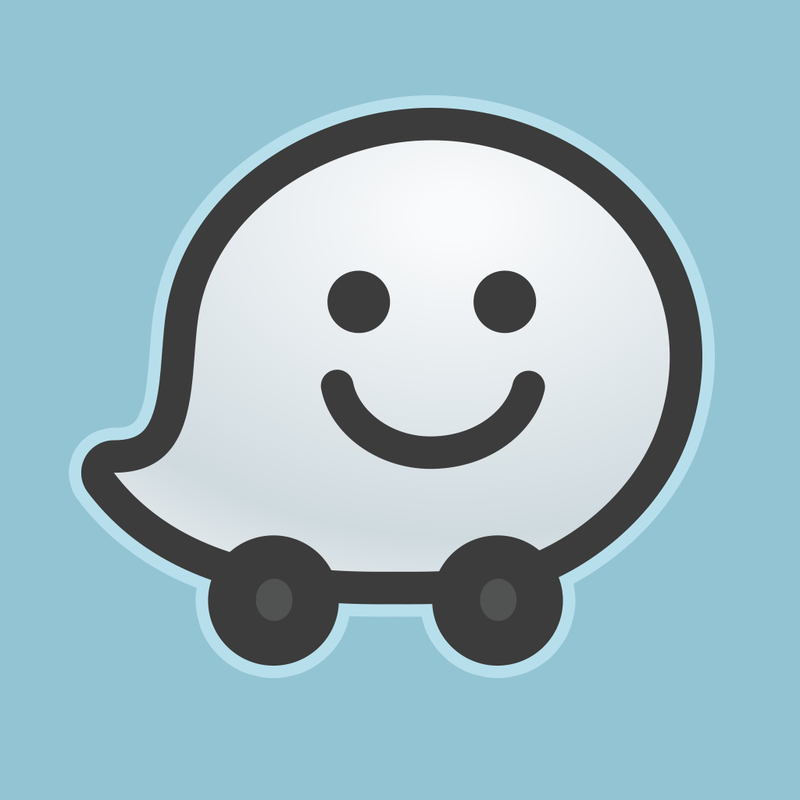 Waze is a universal app designed for the iPhone/iPod touch and iPad/iPad mini. It can be downloaded now on the App Store for free. Back in January, Facebook announced that the Amber Alert information would be displayed on its iOS app and site. As a father of two young children, it’s so nice to see more tech companies help get the word out regarding abducted kids. And Waze’s integration looks to very non-intrusive for drivers. Since its inception in 1996, the program has helped safely recover 728 abducted children. For other recent app news, see: Check your spending at a glance with Expenses OK, Escape eerie tombs by swinging through them in Bungee Mummy, available now, and Another nice Workflow update adds new actions and more.